'Abdu'l-Bahá visited Paris three times. The first visit lasted nine weeks, 3 October through 2 December 1911; the second was 21 January through 30 March 1913; the third was early May through 12 June 1913. As early as 1915, however, we see a first wave of itinerant teachers and short-time settlers directing their steps towards Alaska in an attempt to open it to the light of Bahá'u'lláh. This was followed by a second wave of determined pioneers and spiritual conquerors who, ever since the first Seven Year Plan, [1937-1944] demonstrated their exemplary enthusiasm and caused "the breezes ... of the love of God" to "Perfume the nostrils of the inhabitants" of that "vast country." Martha's unnumbered admirers throughout Bahá'í world lament with me the earthly extinction of her heroic life. Concourse on high acclaim her elevation to rightful position in galaxy of Bahá'í immortals. Posterity will establish her as foremost Hand which 'Abdu'l-Bahá's will has raised up in first Bahá'í century. Present generation of her fellow-believers recognize her to be the first, finest fruit which the Formative Age of the Faith of Bahá'u'lláh has as yet produced. Advise hold befitting memorial gathering in Temple to honor one whose acts shed imperishable lustre on American Bahá'í community. 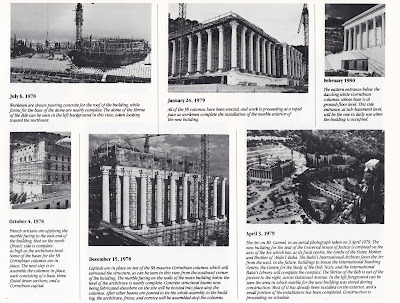 Impelled share with National Assembly expenses of erection of monument in symbolic spot, the meeting-place of East and West, to both of which she unsparingly dedicated the full force of her mighty energies. 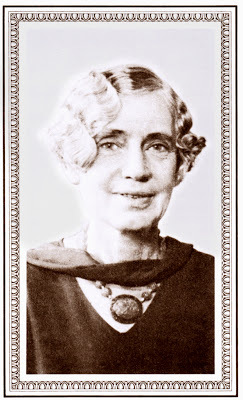 To Martha Root, that archetype of Bahá'í itinerant teachers and the foremost Hand raised by Bahá'u'lláh since 'Abdu'l-Bahá's passing, must be awarded, if her manifold services and the supreme act of her life are to be correctly appraised, the title of Leading Ambassadress of His Faith and Pride of Bahá'í teachers, whether men or women, in both the East and the West. 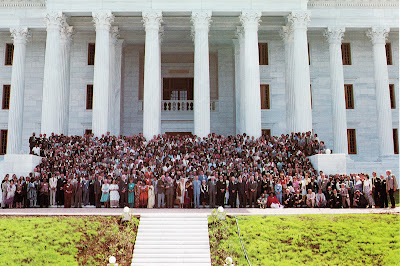 Ridvan 1983 - The Hands of the Cause of God, Members of the Universal House of Justice and Delegates to the Fifth Baha'i International Convention in front of the Seat of the Universal House of Justice. The journey of Bahá'u'lláh and His companions from Gallipoli to Haifa took place between August 21 to 31, 1968, lasting 11 days. Bahá'u'lláh and His party were then transferred from the steamer carrying them to Haifa, to a sailing vessel, which arrived in 'Akká on the afternoon of August 31, 1868. The time they spent in Haifa was a few hours. 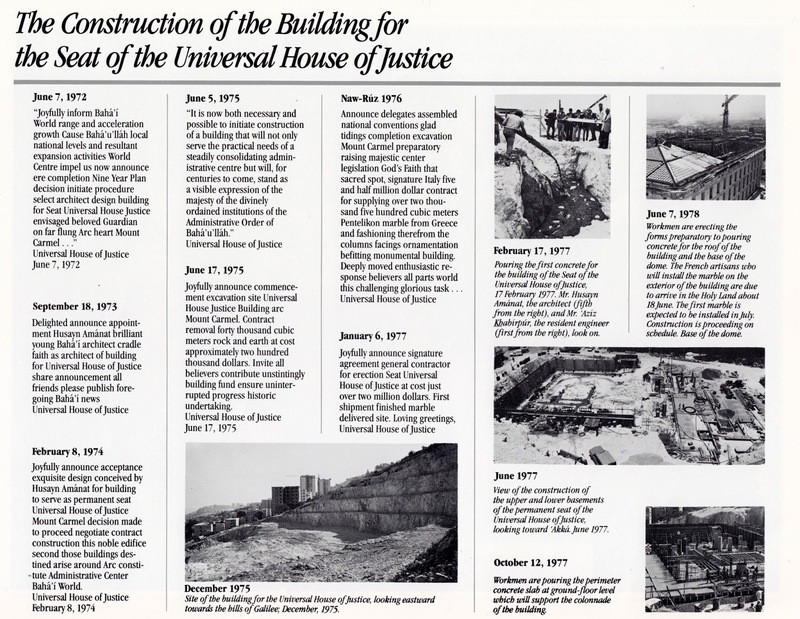 Baha’u’llah spent 2 years, 2 months and 5 days in the Prison Barracks of Akka. From the Prison, Bahá'u'lláh was transferred directly to the House of Málik, thence to the Houses of Khavvám and Rabí'ih. This lasted 10 months. 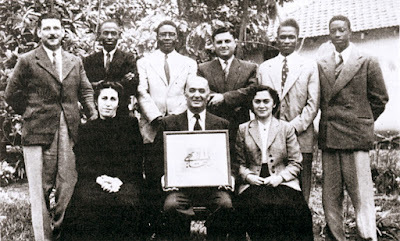 The final House in Baha’u’llah was transferred to was the House of 'Abbúd where He stayed for approximately 7 years. During that time He made occasional visits to the Garden of Ridvan. 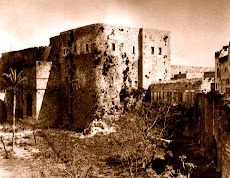 Baha’u’llah then moved to the Mansion of Mazra'ih and stayed there for about 2 years. 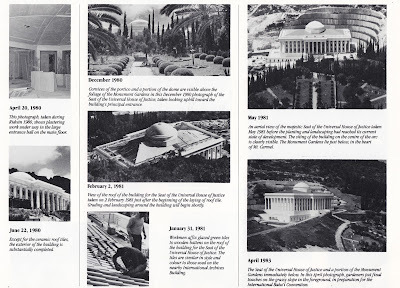 The last 12 years of Baha’u’llah’s earthly life were spent in the Mansion of Bahjí. Towards the end of this period Bahá'u'lláh visited Haifa four times. His last visit to Haifa lasted three months. The total period of the sojourn of Bahá'u'lláh in the Holy Land was 24 years: from August 31, 1868 to May 29, 1892. New developments have, likewise, taken place at the World Centre. We have decided that the time is propitious to bring into being an International Board of Trustees of Huqúqu’lláh to guide and supervise the work of Regional and National Boards of Trustees of Huqúqu’lláh throughout the world. It will operate in close collaboration with the Chief Trustee, the Hand of the Cause of God Dr. ‘Alí-Muhammad Varqá, and will be able to benefit from his knowledge and counsel in carrying out its duties. The three members now appointed to the International Board of Trustees are Sally Foo, Ramin Khadem, and Grant Kvalheim. Their term of office will be determined at a later date. The members of the Board will not transfer their residence to the Holy Land but will utilize the services of the Office of Huqúqu’lláh at the World Centre in performing their functions. 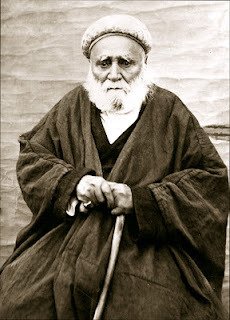 Mulla Abu'l-Hasan-i-Ardikani, who is known as Haji Amin or Amin-i-Ilahi (Trusted of God), was born in about the year AH 1232 (AD 21 November 1816 -- 10 November 1817) in Ardikan, a small town near Yazd. At seventeen years of age he married into a family of Bábís of the town. He was persuaded to investigate the new religion and eventually, shortly after the martyrdom of the Báb, he declared his belief. When news of the Declaration of Bahá'u'lláh came, he accepted immediately and travelled throughout Iran meeting other Bábís and teaching them of the advent of Bahá'u'lláh. After a time he became the assistant of Haji Shah-Muhammad Manshadi, Aminu'l-Bayan, who was the Trustee of the Huququ'lláh. He would travel about the country, earning his living by trading and also by acting as a writer for those who could not write. At the same time he collected the Huququ'lláh and any letters that the believers wished to forward to Bahá'u'lláh, and also distributed Tablets of Bahá'u'lláh when these were received. He came to 'Akká while Bahá'u'lláh was still imprisoned in the citadel and succeeded in establishing contact with the exiles. He was the first Bahá'í from the outside world to be able to meet Bahá'u'lláh in 'Akká (in the Public Baths). He returned to 'Akká on several further occasions. 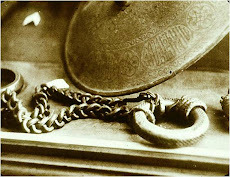 When Haji Shah-Muhammad Manshadi was killed in 1880, Haji Abu'l-Hasan was appointed Trustee (Amin) of the Huququ'lláh. In 1891 he was imprisoned with Haji Akhund for three years in Tihran and Qazvin. In the time of 'Abdu'l-Bahá he continued his travels, visiting 'Akká and Haifa on several occasions. Towards the end of his life he resided in Tihran and Haji Ghulam-Rida, Amin-i-Amin, was appointed his assistant. He died in 1928 and was posthumously named a Hand of the Cause of God by Shoghi Effendi. The 'Right of God' -- a payment by believers instituted in the Kitáb-i-Aqdas. This November will witness the first universal observance of the Twin Holy Birthdays of the Báb and Bahá’u’lláh according to the Badí‘ calendar. In anticipation of this special occasion, the Universal House of Justice is pleased to present you with three Tablets from the forthcoming volume Days of Remembrance, a collection of Writings from the Supreme Pen revealed specifically for, or which otherwise pertain to, nine Holy Days, to be published in English translation. As it is expected that the book will only be available after mid-2016, to assist the friends in their preparations for this year’s historic commemoration of the Twin Birthdays the House of Justice has asked that one Tablet concerning the Birth of the Báb and two concerning the Birth of Bahá’u’lláh be sent to you in advance, so that arrangements can be made for their translation into various languages. French, Russian, and Spanish translations will be sent to the relevant National Spiritual Assemblies in due course.